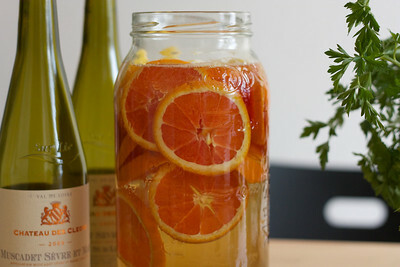 Found a DIY Vin d’Orange recipe on NYT. Substituted rosé with white, used ceylon cinnamon instead and skipped the vanilla bean – ended up with something that is nevertheless wonderful. For a recipe as simple as this, quality of ingredients is definitely critical including the quality of rum. Best time to make this is when the oranges are tree ripened. Our version is made with Cara Cara oranges. It is a delightful summer drink when mixed with carbonated water. This summer in India, we found a variety of refreshing summer drinks. Oh Calcutta in Kolkata served a thinned buttermilk and Keffir lime mocktail, and a roasted green mango vodka cocktail.Visit to friends gave an opportunity to try out FabIndia‘s sweet and salty drinks – lemon ginger, aloe vera, amla (gooseberry), and fruit punch. Keep an eye out for my experiments with buttermilk and Keffir lime. Celebrating with bubbles and ? I always keep a bottle of sparkling wine in the refrigerator. Nothing too fancy, mind you – that would defeat the purpose. Just something that makes small celebrations affordable, say, Veuve du Vernay Rosé or Antech Cremant de Limoux. And I mean small celebrations like harvesting a batch of potatoes from the backyard or your first handstand. My favorite morning celebration calls for souffle and a glass or two of sparkling wine. 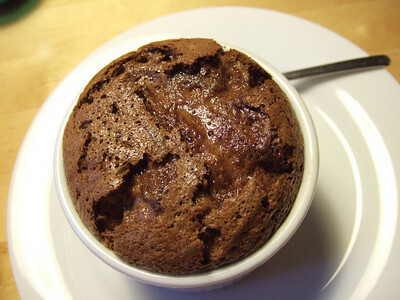 Souffle requires a spouse who is fond of baking and pantry basics like flour, chocolate and eggs.